Load-carrying vessel (sometimes known as a Gondola) suspended from wires across the valley. Close examination of the photo revels the wires in several places. 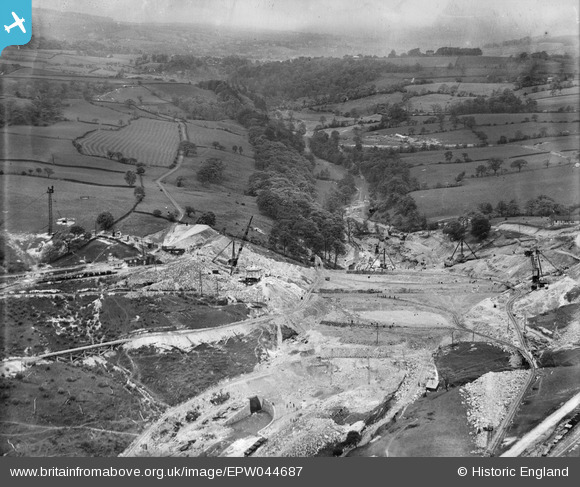 The suspending metalwork on each side of eh valley is quite distinctive.